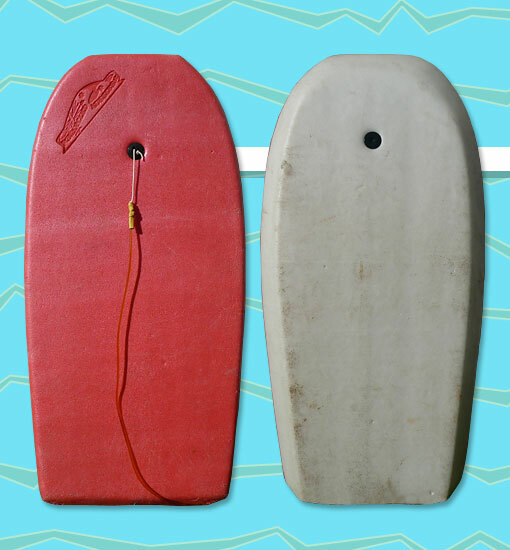 The Bronzed Aussie was a bodyboard developed in Australia by World Pro Surfing Champions Ian Cairns and Peter Townend. Similar to the numbered Morey "Original" series, the Bronzed Aussie featured a double skin construction for greater rigidity, better performance, and a super quick response. Photo: Shane Griffiths.